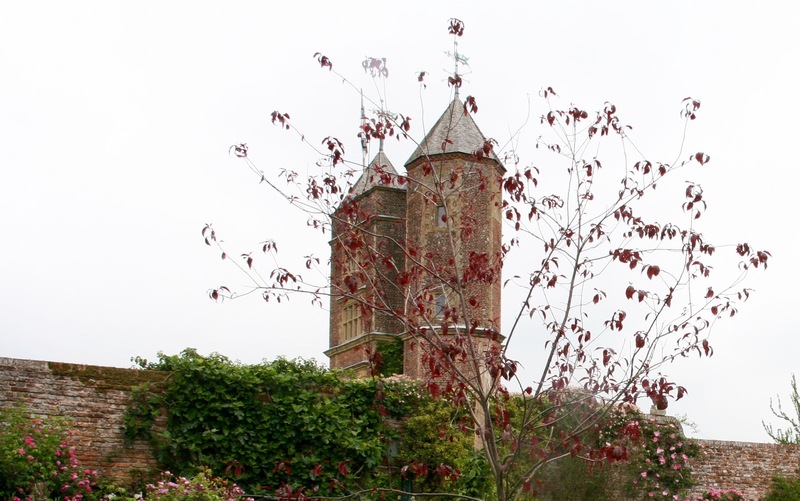 I spent most of last Sunday visiting the horticultural mecca that is Sissinghurst Castle in Kent. 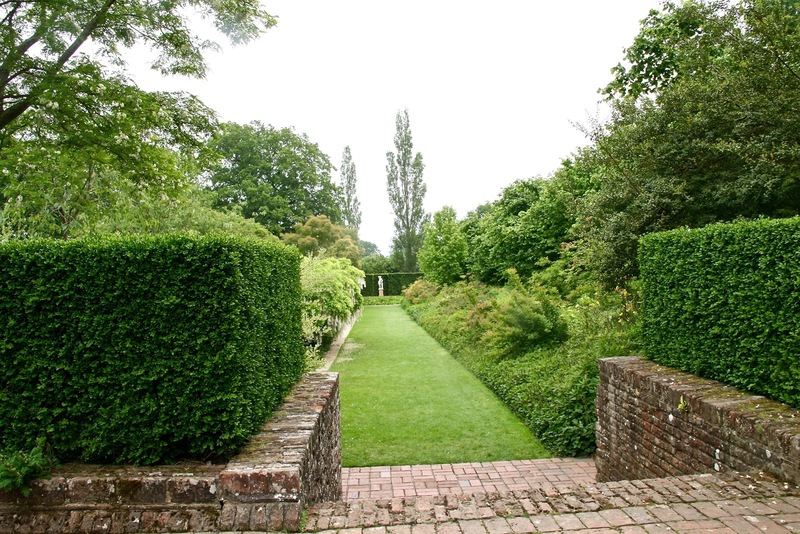 It was created by the novelist, poet and garden designer Vita Sackville-West (1892 – 1962) and her writer-diplomat husband Harold Nicolson (1886 – 1968). 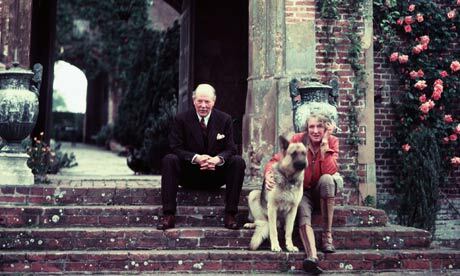 Their open marriage and versatile sexualities as well as their circle of mostly Bloomsbury Group friends has given the gardens a frisson of posh bohemianism other splendid gardens might lack. Now their writing achievements and romantic liaisons take backstage to their greatest legacy, the garden they left behind. 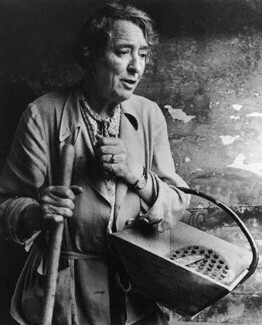 Vita’s brilliance as a garden designer is still there for all to see and it’s possibly best to remember her as someone who didn’t mind getting mud on her elegant fingers. 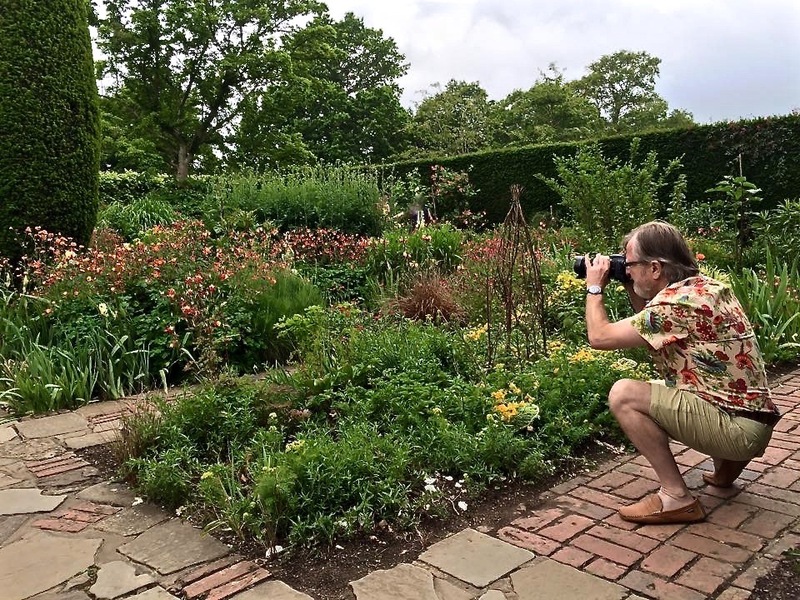 Sissinghurst is now one of England’s most popular tourist attractions and it was delightful to be asked by two visiting friends from the USA, Bill and Mike, to take them there for the day. I don’t think they were disappointed. There was a lot to see so I shall show you some of the highlights of these gardens as they were this June, over the next three days. 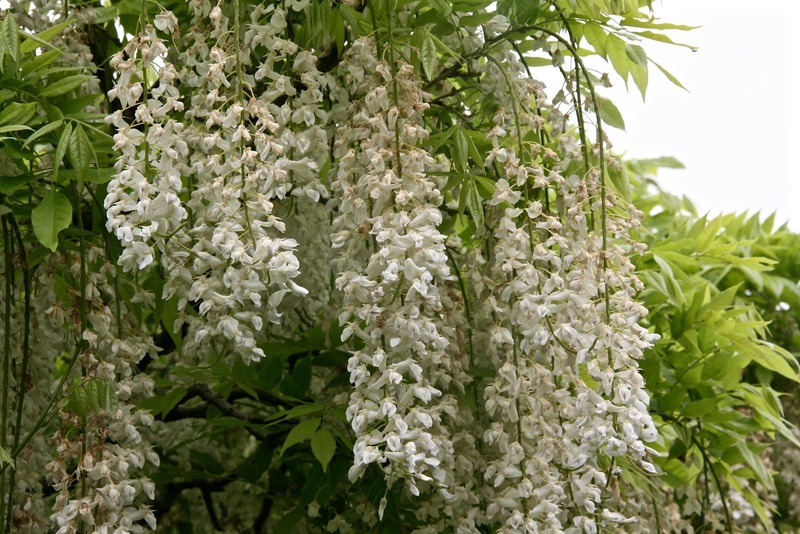 If we do have an idea about what is typically English in gardening terms, then it is here in abundance, everywhere you look. Travelling with friends who share my enthusiasm for photography meant that I made it into these shots too. I suspect that my friend Bill Hemmig has a parallel set of photographs. 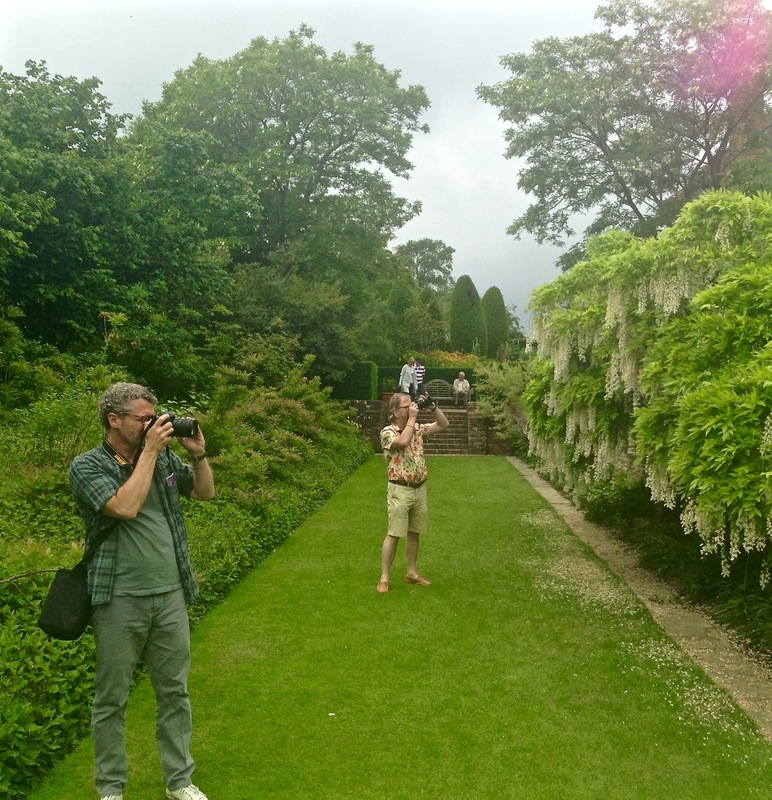 We caught the wisteria just in time. 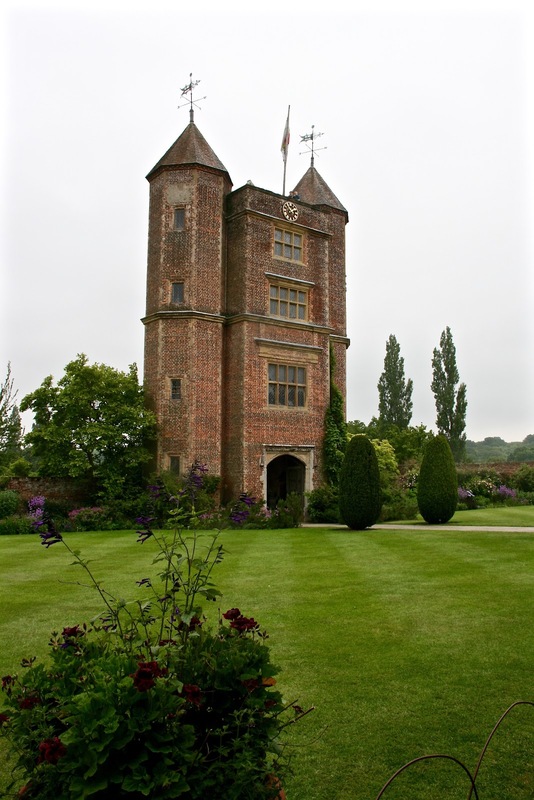 Today, I’m concentrating on the layout and buildings of this estate which is called Sissinghurst Castle but isn’t a castle at all. 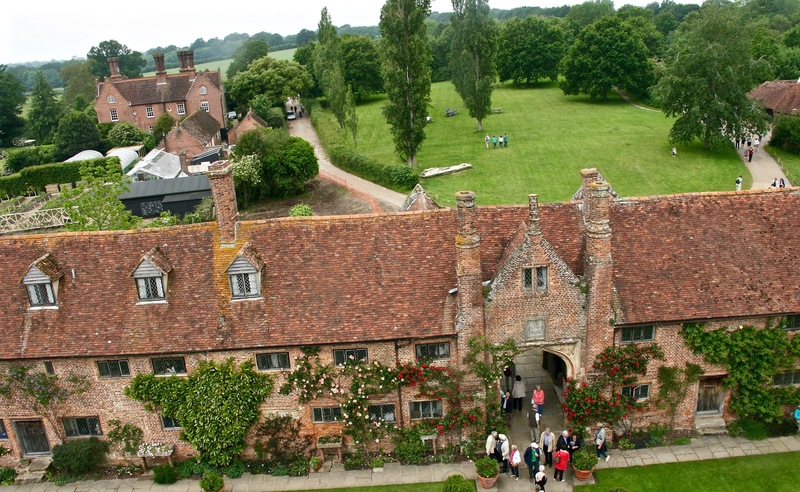 When the Nicolsons found it, was a derelict ruin that was once a stately medieval manor house. 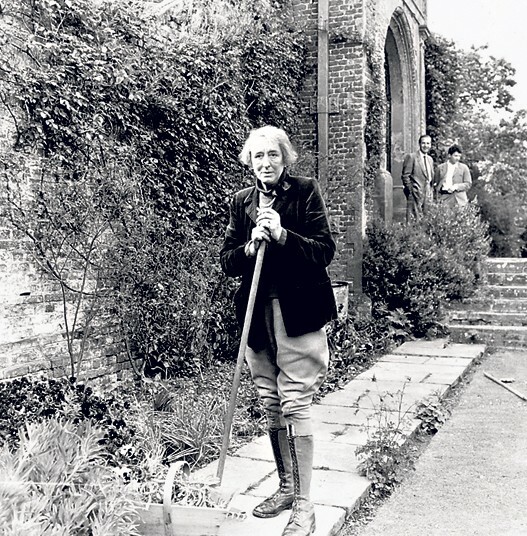 Vita Sackville-West, who was the gardening columnist for the Observer newspaper, designed the gardens as a series of interconnected ‘rooms’ said to reflect her nostalgia for her family’s stately pile of Knole House, in Kent, which she didn’t inherit as the eldest child because she was a woman. 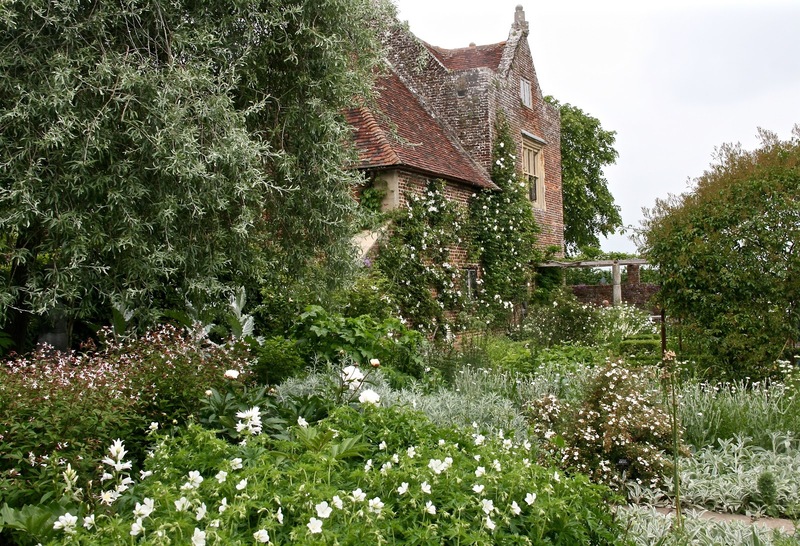 These ‘rooms’ each have their own character and contrasted plantings – the most famous of which is the White Garden (the subject of the next blog) which still has the power to wow us with its single-minded originality. 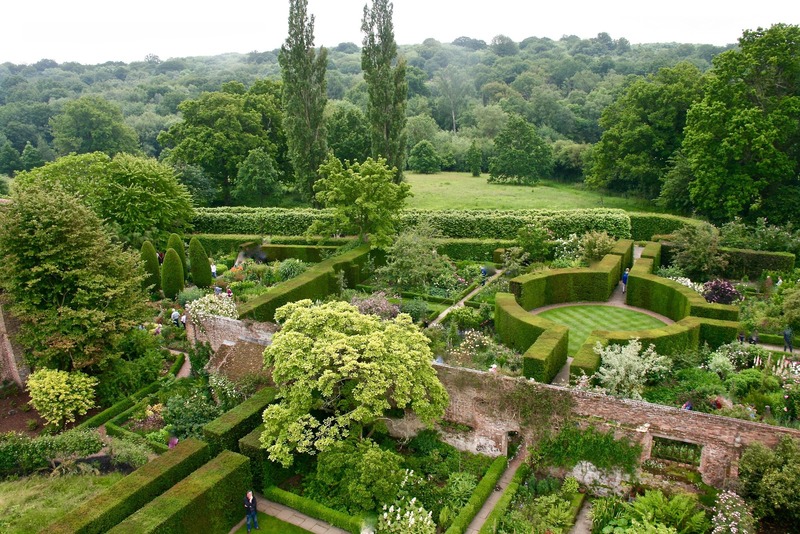 Brilliantly thought through, the gardens, often so colourful, are bold enough to allow us to enjoy the beauty of green as in the elegantly-shaped monochrome centre of the maze, above, and the lovely panoramic walk below. 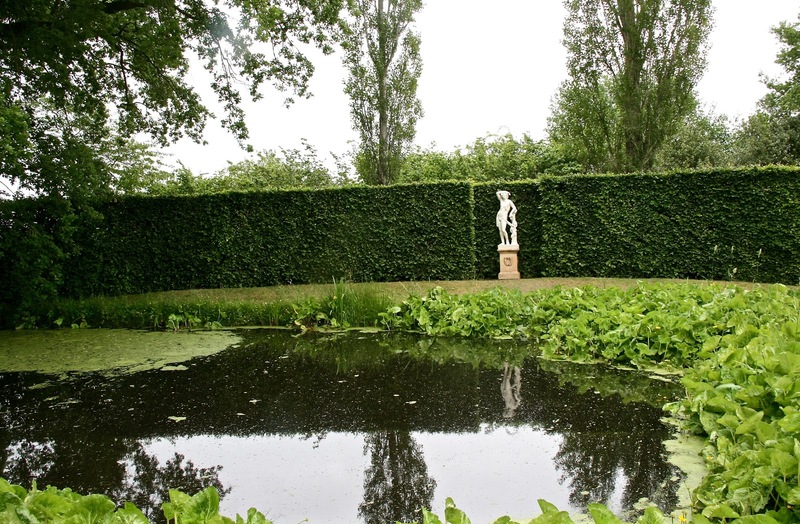 What better than finding at one end of this grassy corridor, not just a statue, but a watery idyll. 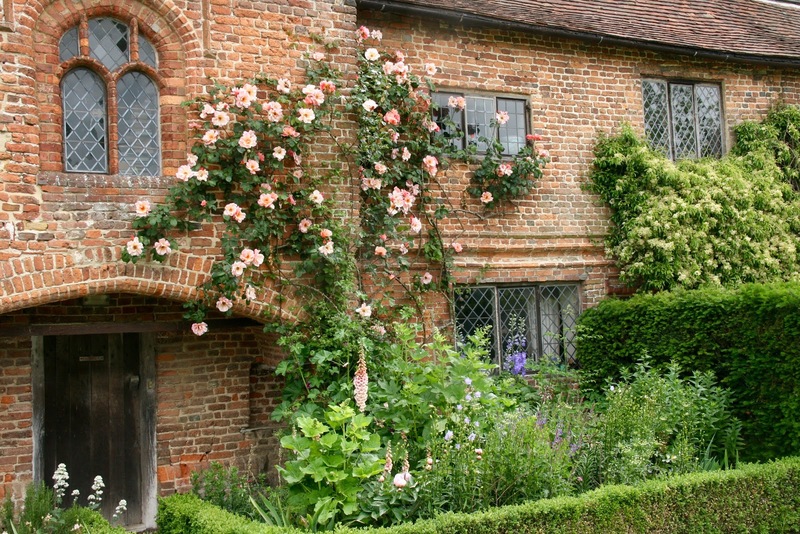 Sissinghurst is nothing if it’s not romantic. 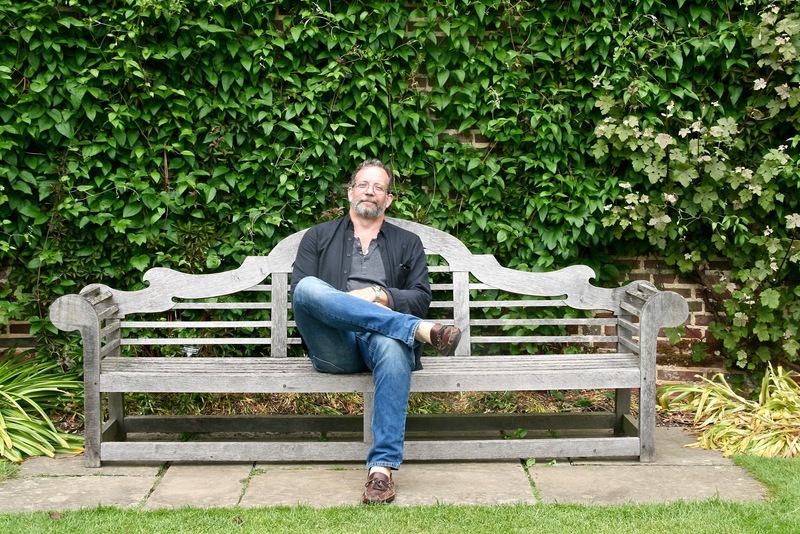 At the other end of the walk, Mike Ingham found a good use for the seat designed by Edwin Lutyens. 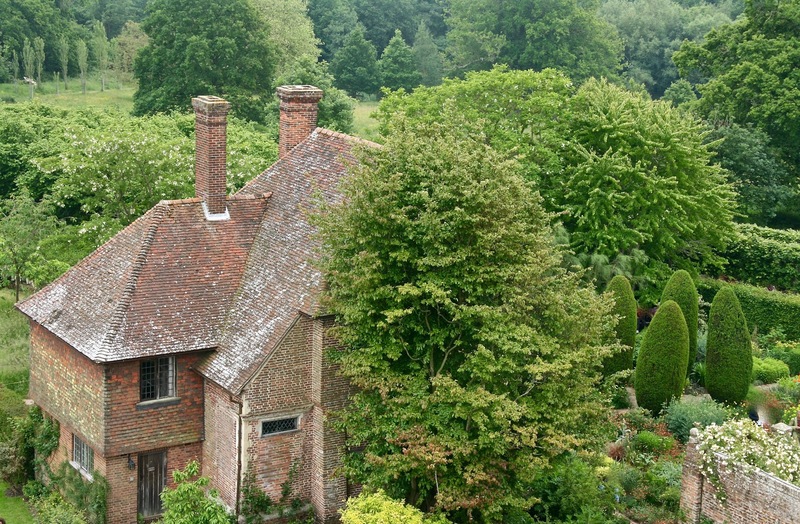 There are a number of houses on the estate including the one below where Vita and Harold actually lived. 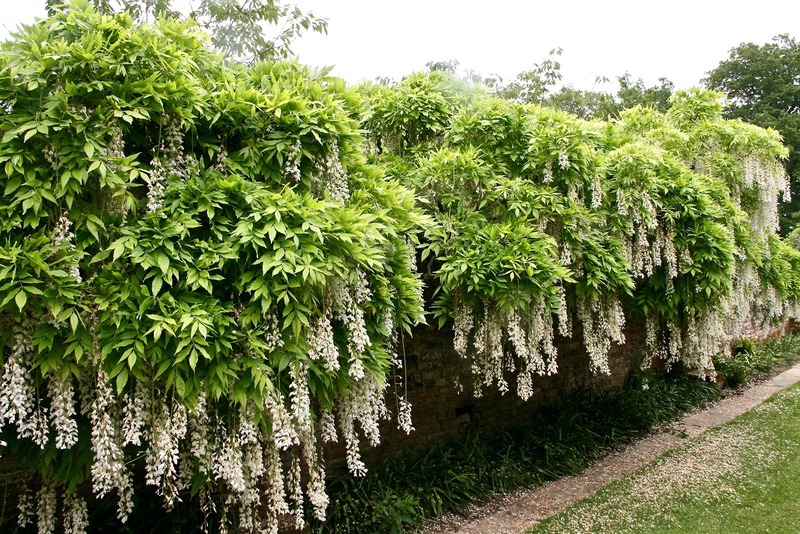 Their two sons occupied the house below bordering onto the famous White Garden. 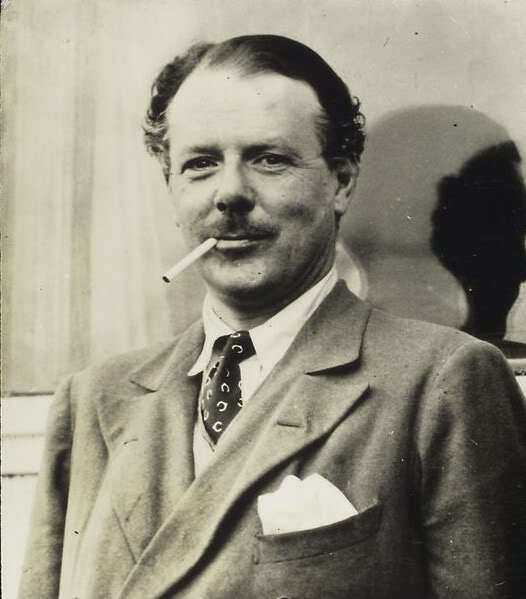 When your marital arrangements were as complicated as Vita and Harold’s, it must have been handy having a number of houses at your disposal. 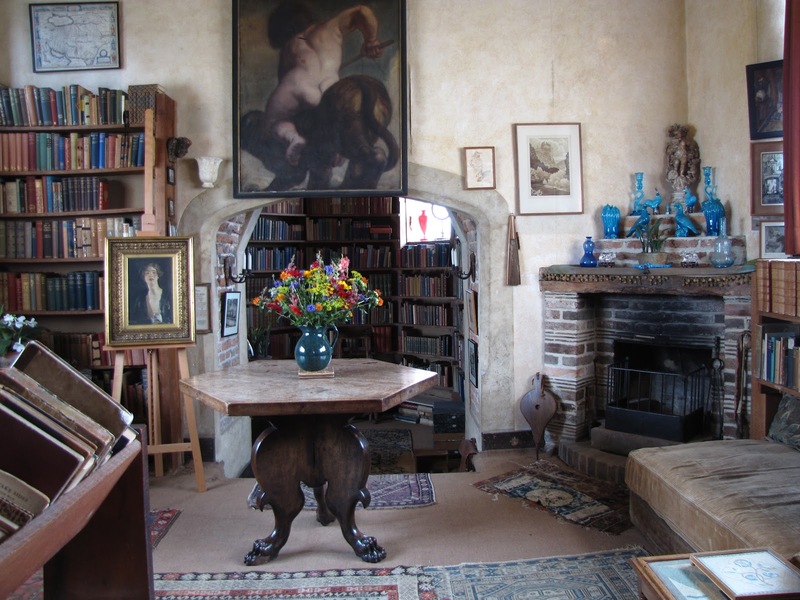 Vita had her writing room, a marvellously gloomy book-lined study in the free-standing tower. 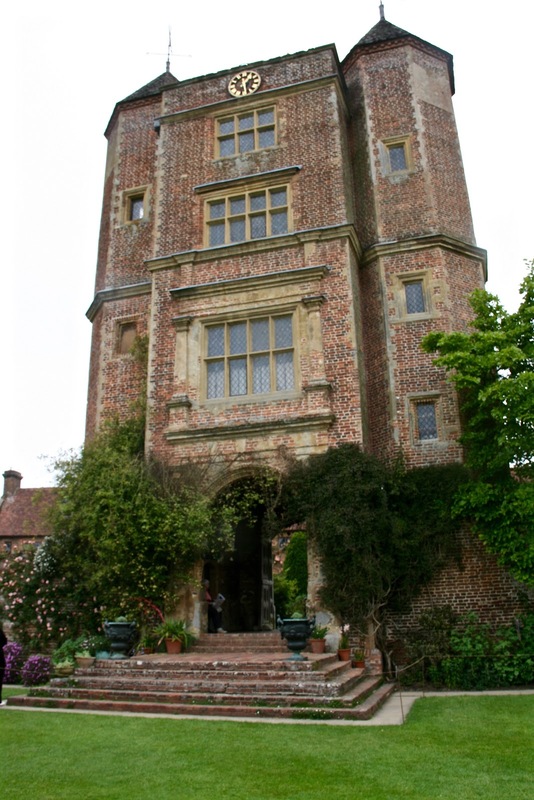 Nowhere though on the estate are any of the rooms that grand, well by Edwardian upper-middle class standards, and Vita’s room is quite small and cluttered in its smartly neo-Medieval ambience. Today and in Vita’s designs, the buildings are really backdrops for the plantings and they change their appearance many times as you walk around the different rooms. 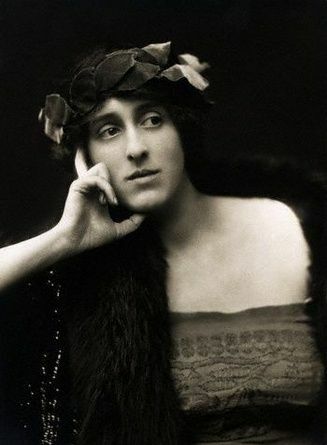 In case you want to know more about Vita Sackville-West the poet, here’s a recording of her reading her poem The Land. 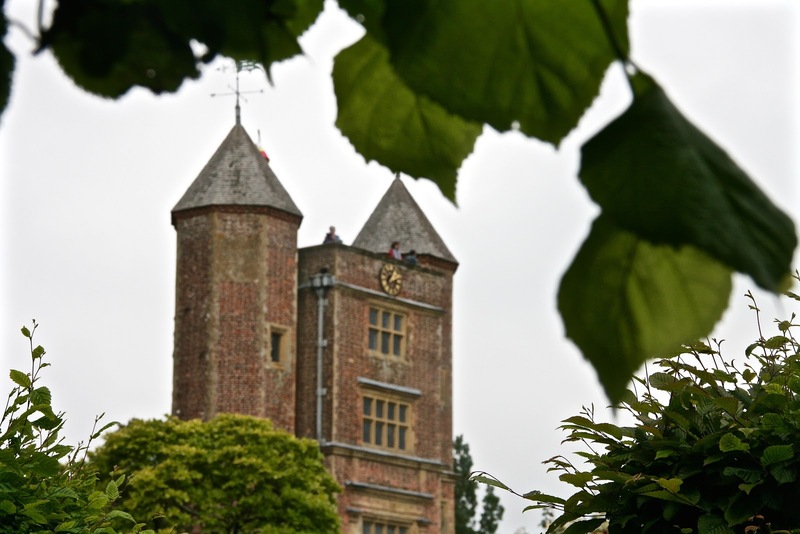 The poem gives us an insight into the mind that loved the soil and turned it, here at Sissinghurst, into her masterpiece. I was glad that I was able to show my American friends who after a week in London, needed to see a piece of English countryside. 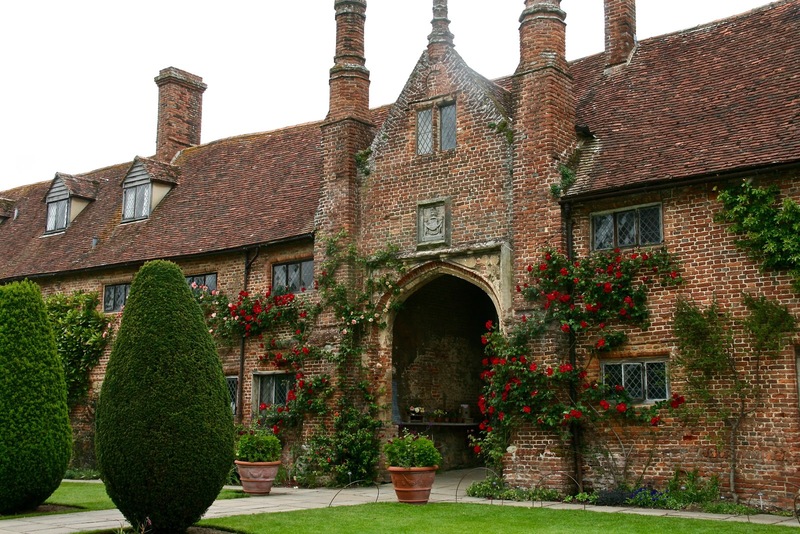 Where better than Sissinghurst? Thankyou for the film and the wonderful recording. How wonderful to go back in time and see a couple who were so civilized and caring of each other. Glad you enjoyed it Dana – it's a wonderful story.